More NPCs left unused now re-added....with their own purposes!! You may not, whatsoever, make modifications to this mod and release it to public under your name. I will not give permission no matter what the case is. If this is found on any website besides the Nexus, the Alliance, or Bethesda.net (and unless its under my alias's kvatchcount or Coconut_of_Doom), then I will have it removed and your account banned. This will be your only warning. 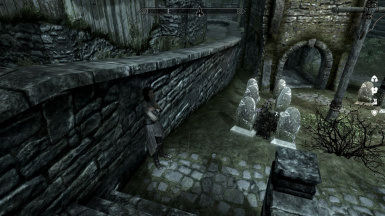 A spiritual successor to my previous mod, College Guards and Saarthaal Miners and Terek, this mod aims to restore more NPCs left unused and also gives each one a purpose to exist. 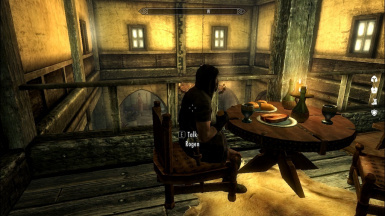 This mod touches NPCs not touched by the Cutting Room Floor, so please. Do not ask about that i mean it. Some NPCs in this mod have been re-purposed from their original purposes, such as Rogen and Thaer. They originally were meant to be carriage drivers, but since went unused and now have been re-purposed for this mod to be immersive. Henrik - The poor sacrifice of the Potema Binding Ritual. Jolf - An unemployed sailor who now works at the Windhelm Docks, doing odd jobs. Drunk Cultist - A cultist in Morvunskar who had too much to drink as of late.... mayhaps she is too drunk to notice the difference between an intruder and one of her friends? Rogen - A strange Nord who pops up in Solitude some time after the Hall of the Vigilants destruction... one would be wise to watch their steps around him. Makhel Abbas - An Orcish Hunter in the plains of Whiterun. Athel Newberry - A private investigator that surveys the crashed ships around Skyrim's Northern Coasts. Watchman - The poor thrall of the vampires who reside in the castle. 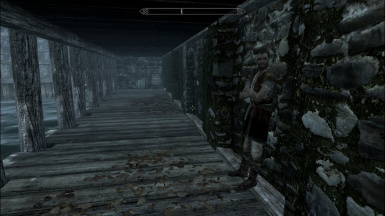 He guards the main gate to Castle Volkihar. Thaer - A simple Bosmer fisher in Riften, but will run off to become a Dawnguard Agent at the beginning of the Dawnguard DLC.